If you’ve ever had to record a call on your Android device, you might have noticed that most phones don’t offer such a feature, and that most apps on Google Play that claim to do so don’t even work. Unless you’ve rooted your device, you’re usually out of luck. Luckily, Drupe has added a new call recording feature to its excellent dialer replacement app, which offers an intuitive interface for contacting people using any of your voice and text messaging services from a single screen. It works like a charm and is as easy to use as swiping right. The call recorder picks up both sides of your conversations, but it’s worth noting that the audio from the person you’re speaking to can be significantly lower than you’d like. To that end, Drupe has included a setting to activate your speakerphone automatically when you dial a number using the recorder function. Once you’ve recorded a call, you can find the AMR file in Drupe’s settings, under Calls > Call Recorder > Current Recorded Calls. The menu lists your calls and allows you to preview, rename and share the recordings. The feature works well and is certainly handy for people who frequently use their phones for interviews or teleconferences. Of course, you’ll want to check the laws in your area to be sure that it’s legal to do so, and disclose the fact that you’re recording if it’s necessary where you live. 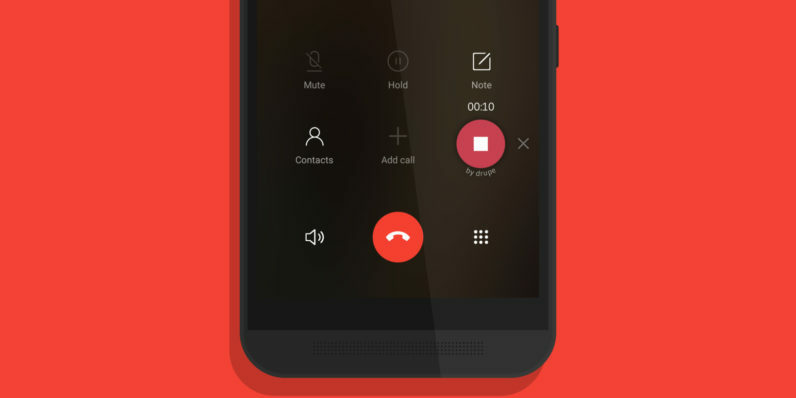 You can try out Drupe’s call recorder right now by grabbing the free app from Google Play.